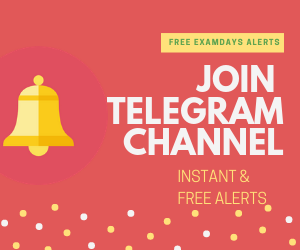 Allahabad High Court APS ARO Driver Answer Key 2019: Allahabad High Court conducted an examination of APS ARO Driver on 24.02.2019 and 25.02.2019, those who are given examination can download the complete Answer key of ARO APS and Driver in PDF document. 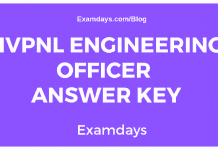 Allahabad High Court APS ARO Driver Answer Key was updated on 26th March 2019, those who are given examination for ARO driver can download the complete Allahabad High Court APS ARO Driver Answer Key in below-provided link. The Key was released on 27.02.2019 from official website and objections are to be activated from 27.02.2019 to 04.03.2019 till. Those who have any questions and doubts with objections can raise on an above-said date. The Allahabad High Court APS ARO Driver Answer Key was released, those who are given examination can download the official answer key from the official website and check he number of secured marks from the official answer key. If candidates have any objections on key, can raise the objections as per official objections format in given stipulated time frame. Note: The answer keys and objection forms shall be live from 27th February 2019 to 04th March 2019. Select the appropriate key and raise the objections according to that and submit the objections on or before the last date of 04.03.2019.